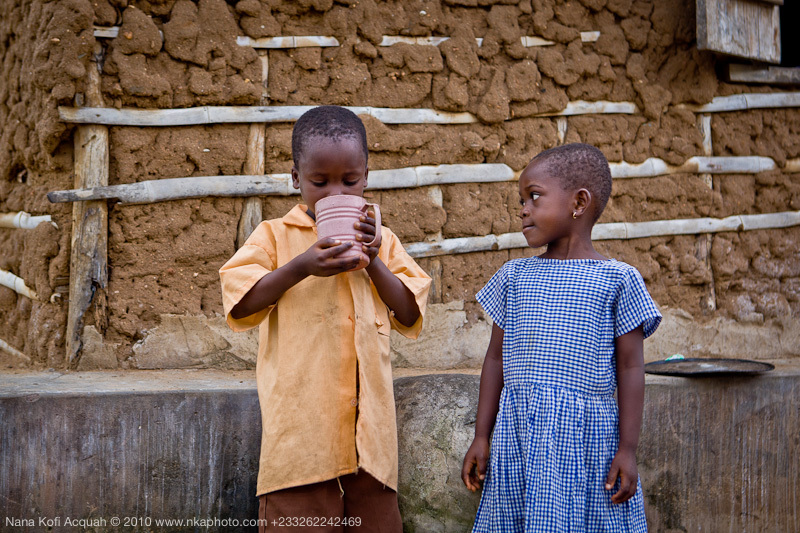 These photographs were made for WaterAid Ghana, in communities that used to be prone to Guinea Worm infections. One man told us of how the chief in his village had guinea worm infection in his tongue; and what a torturous experience it was for them. If you think getting the "fiery serpent" (a nick name for the Guinea worm) in your tongue is painful, imagine having it in your scrotum. Talking to residents in these communities make you realize the difference one borehole makes. Good water is a life changer. 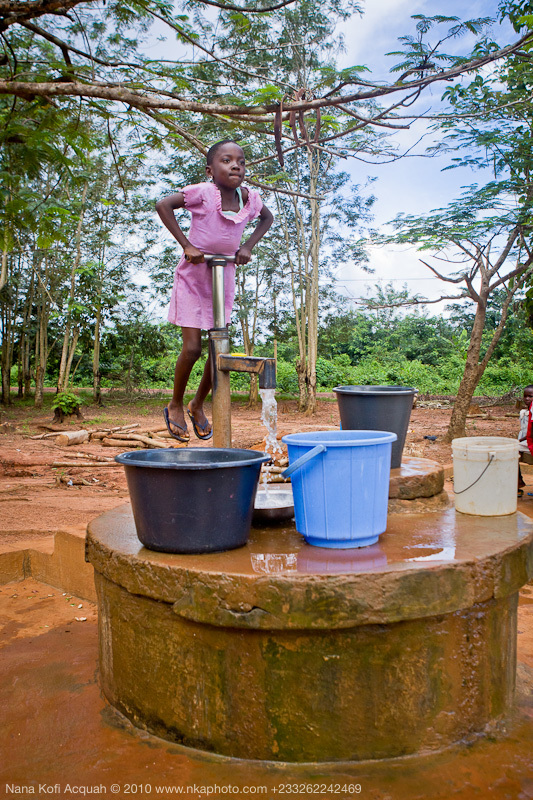 If you can afford to donate some boreholes to deprived communities, don't hold back. Enjoy your weekend. 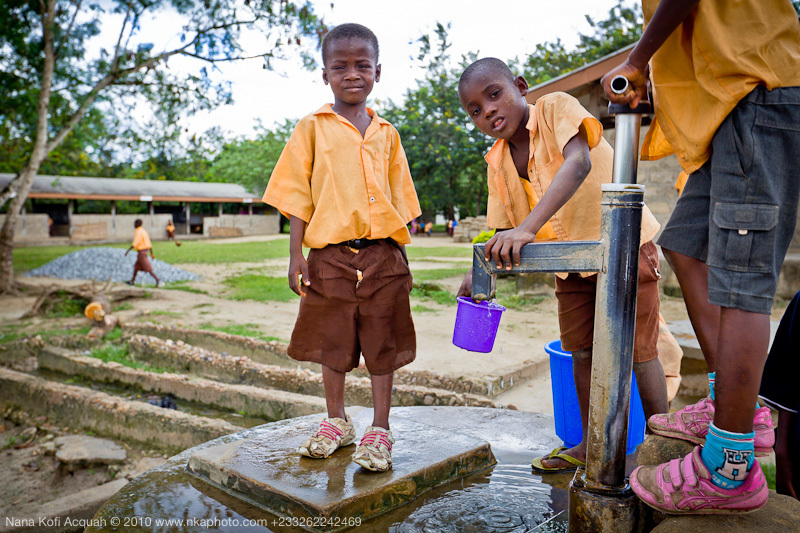 Labels: "Blog Action Day: Water", "Guinea Worm", "water aid"
What school were these photos taken at? It looks farmiliar to me. 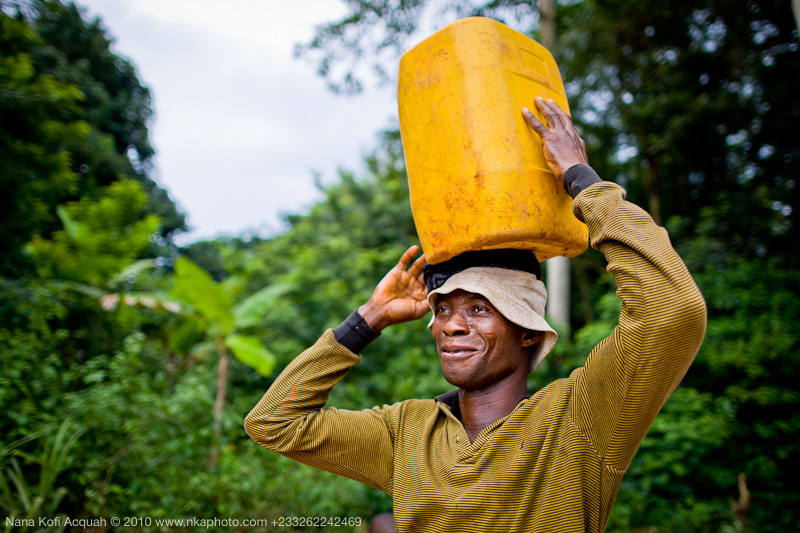 The photos were made in different locations but all in the Eastern Region of Ghana.